Stations ordered with Option X30 revert to battery backup to maintain power to the Station Control Module in the event of an ac power failure. This retains station memory and continues communications with the paging system control point. The station is shipped with a 2-wire cable with two 10-foot lengths of red and black #8 AWG gauge wire and a fuse block with 20 A fuse. 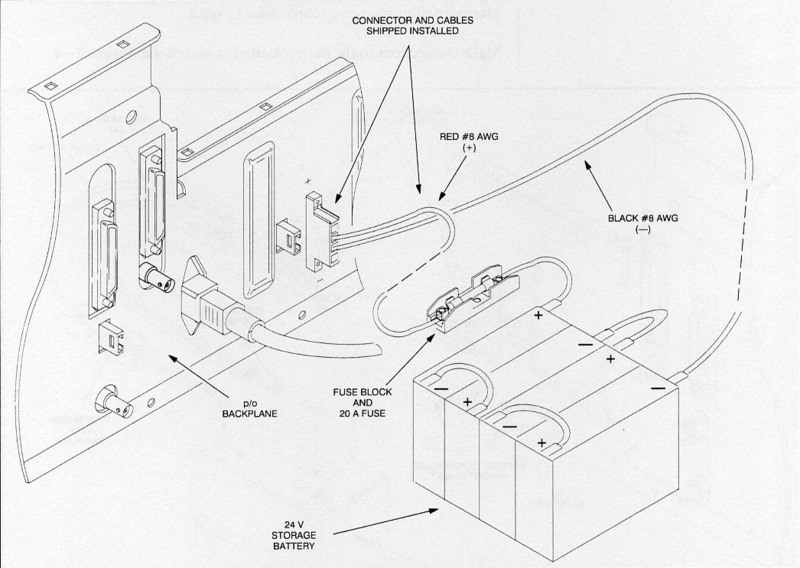 Connec-tions are made in the factory as shown in Figure 7-3.